Black women of the world. We really are something aren’t we? A force, really. Constantly being stomped to the ground only for us to rise up and stampede whoever thought they could get away with such a thing. Silly rabbits of the universe continue to reach even when they know good and well they will catch hell from our wrath for even thinking for a second they could say anything remotely defamatory about us. I have been an active participant in the stampeding—detesting, rebuking and annihilating any Black women slander because I am a Black woman, I love my fellow Black woman and I truly believe that we are all queens. However, I am starting to question whether or not the backlash we dish out day in and day out when unfavorable comments are made about us is necessary or is it better to be more discriminatory and serve our fury in doses? As most of you probably heard via the web a few weeks ago, Harlem rapper A$AP Rocky decided to toss out his superfluous two cents about Black women and red lipstick. More specifically, he said that red lipstick is something that should only be worn by “fair skinned women”. Many Black women (myself included) took offense to this ridiculous comment being that there are several non fair skinned women that are absolutely stunning in red lipstick (myself included). After my anger subsided a bit, I sat back and questioned why exactly did I care about the opinion of some random rapper who means nothing to me and is not any kind of expert on women’s beauty or fashion? And even if he was an expert on women’s beauty or fashion, if I know I look damn good in some Russian Red by MAC why is his validation needed? 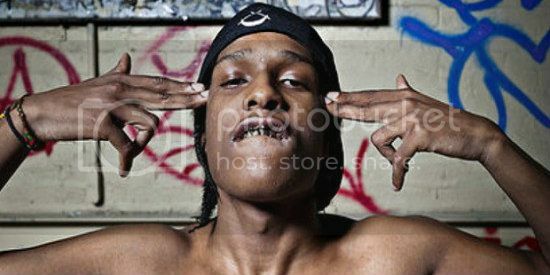 A$AP Rocky is entitled to his own opinion and preferences. I do not recall him saying that the entire race of Black women were unattractive, unappealing or undesirable or saying anything that was blatantly disrespectful about Black women. I understand completely how hurtful colorism is and that the preference for fair skin is something a lot of ethnic groups in the western world struggle with but there comes a time when we must realize that we cannot change the opinions of others, all we can do is know our own truths in spite of them. I hate to toss out the hackneyed “it’s hard being a Black woman” phrase but is is. We’re expected to just take slander and not dish it back. People will say absolutely offensive things about us and act surprised when the backlash is received. We are justified in getting fed up with the slander and speaking out against it however, I think it’s important to accept the fact not everyone is going to hold us in as high of a regard as we hold ourselves. This not something that only Black women need to accept but people in general. Our worth as individuals is not diminished when someone else fails to acknowledge it. The best we can do is continue to think highly of ourselves, carry ourselves like the queens we are and learn how to distinguish half-witted opinions not worth getting bent out of shape over and disrespectful assertions that need to be completely shut down.